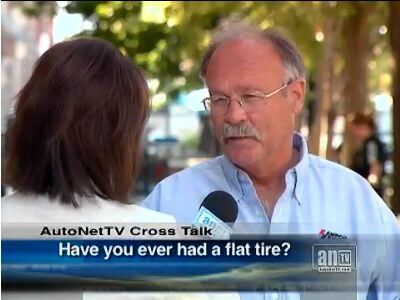 Most KANSAS CITY residents have experienced a flat tire. You know it's inconvenient and a pain. Our tires are important. Keeping them in good working order isn't just a big safety issue for KANSAS CITY drivers – it also has a financial impact. With high MO gas prices, we've all heard about the importance of keeping proper tire pressure to save on gas. In addition, proper inflation promotes even tread wear so your tires last longer. There's another danger with under-inflated tires for KANSAS CITY residents. Low tire pressure puts added stress on the structure of the tire itself, causing it to break down prematurely. Also, under-inflated tires generate more heat which also reduces tire life. So get those slow leaks fixed quickly – don't just keep adding air every few days. You want to avoid tire damage. KANSAS CITY residents should only hire qualified tire professionals to perform repairs - we have a whole team of them at The Muffler Doctor. KANSAS CITY folks can buy self-repair kits, but we advise you to save those for emergencies, like when you're off-roading and need a quick fix so you can hobble back to civilization and get professional help. If you need to use a repair-in-a-can product, remember it's a temporary measure only and your tire needs to be properly repaired as soon as possible.